Pharmaceutical Science Research Center 1, Hemoglobinopathy Institute, Mazandaran University of Medical Sciences, Sari, Iran. Department of Pharmacognosy 2, Department of Pharmaceutics 4, Faculty of Pharmacy, Mazandaran University of Medical Sciences, Sari, Iran. Medicinal Plants Research Center 3, Ayatollah Amoli Branch, Islamic Azad University, Amol, Iran. ABSTRACT: Effervescent tablet is a convenient oral dosage form, which has special ingredients. This potency of effervescent tablet helps to delivered drugs, effectively. Medicinal plants have a wide range of usage in the world. Mespilus germanica (Rosaceae) and Quercus castaneifolia (Fagaceae) are important medicinal plants used in several diseases such as diarrhea. Medlar and oak, the fruits of M. germanica and Q. castaneifolia respectively, were harvested and extracted using hydro-acetonic solvent by maceration method. In addition, total phenol and tannin contents were assayed using Folin-Ciocalteu method. Antimicrobial activity of extract was determined using broth dilution test on some intestinal pathogens. Finally, effervescent tablets were prepared using wet granulation method and analyzed. Total phenols and tannins were obtained 0.9% and 0.1% respectively. This reduces the amounts of total tannins will disappear with adding antioxidant agents. Tablet hardness, friability and disintegration time were significantly dependent on the amounts of lubricant, acidifying and alkalizing agents. This work investigated the potential of developing Oak and Medlar effervescent tablets to facilitate drug administration and mask drug taste. This formula may be encouraging in improving patient compliance and drug efficiency. INTRODUCTION: Oral dosage forms are the most favourite and the most admissible forms of drug delivery systems. Among them solid dosage forms like tablets are more desirable in comparison with the liquid dosage forms because of the more stability, uniformity and correct potency, less microbial problems, and better flavour masking. Effervescent tablet is a tablet intended to be dissolved or dispersed in water before administration. This is definition of Effervescent Tablet that proposed by Food and Drug Administration 1. This dosage form and other oral dosage forms are convenient to use. Effervescent tablet contains special ingredients that these compounds rarely found in the other dosage forms. These materials are active and when surround with water disintegrate very fast and release the drug 2, 3. As these tablets haven’t coating, fast disintegration and effervescence reaction rapidly occurs between acid and base that makes carbon dioxide exit and dissolving ingredients of formulation. Some other advantages of the effervescent tablets includes increasing the stability of drugs in liquid form by making a solution at the time of consumption, easy to swallow, decreasing gastrointestinal irritation, fast absorption and good bioavailability, enhancing patient compliance and the therapeutic effect of drugs, and possibility of having more drugs 3, 4. Organic acids include tartaric acid and citric acid and inorganic bases include sodium hydrogen carbonate are most percentage of this dosage form. This tablet was used very convenient in children and elderly patients. In addition, the disintegration pattern is attractive in children patients which encourage them 3, 4. Medicinal plants used as a source for relief from illness in the million years ago. Many plants have potential to use as new drug. A wide range of medicinal plant parts include root, leaf, stem, flower, fruit, twigs exudates. In addition, modified plant organs are used for extract as raw materials which possess varied medicinal properties. In addition, many medicinal plants have been recommended for the treatment of infectious and non-infectious diarrhea. Drugs from plant sources are frequently considered to be less toxic and almost free from side effects 5, 6, 7. Mespilus germanica is a large shrub from Rosaceae family in northern forest regions of Iran and has very nutritive and therapeutic usages. In addition, fruits and leaves of the plant are usually used in treating wounds, oral abscess, and microbial infections 8, 9. M. germanica is rich in phytochemicals, nutrition and therapeutic compounds. It contains proteins, carbohydrates, lipids, phenolic compounds for example tannins, etc. These phytochemicals induce therapeutic effects of the plant 8, 9. In addition, Quercus castaneifolia from Fagaceae family is large tree commonly grows in Iran and used for several diseases such as microbial infections, diarrhea 10. In this research we attempted to prepare and evaluate the plants-based effervescent tablets which were used in the patients with infectious and non-infectious diarrhea. MATERIALS AND METHODS: All chemicals were analytical grade: Solvents purchased from Merck (Darmstadt, Germany). Other reagents were purchased from Sigma-Aldrich. Plant Materials: Mespilus germanica and Quercus castaneifolia fruits were collected from jungles from sari city of Mazandaran province in Iran. Voucher specimen is stored in the Department of Pharmacognosy herbarium (Voucher’s number: E1-223202 for M. germanica and E1-32310 for Q. castaneifolia) 9. Extract Preparation: Fresh M. germanica and Q. castaneifolia fruits were dried and placed in beaker to extract with acetone (70%) using maceration method. Briefly, 100 g powdered fruits have been macerated in solvents for 72 h. After extraction, the solvent was evaporated in 40 ºC by rotavapor and extracts were freeze-dried. The obtained acetonic extract was stored at -10 ºC until being used 8, 11. Total Phenols and Tannins Assay: Total phenolic contents of M. germanica leaf extract were determined by Folin-Ciocalteu method. The Folin reagent (Sigma, Germany) was diluted 2-fold with distilled water. One milliliter of extracts (1 mg/ml) was added to 1.5 ml reagent and allowed to stand at room temperature for 5 minutes. Sodium carbonate (Sigma, Germany) solution (1.25 ml, 20%) was added to the mixture and stored at room temperature for an additional 60 minutes and absorptions at 725 nm were recorded. Calibration curve was created by standard concentration of Tannic acid and total phenolic compounds of extract were obtained by calibration curve 12, 13. Then, 100 mg poly vinyl pyrrolidon (Sigma, Germany), 1 ml distilled water and 100 mg extract were added into two tubes and was mixed by Vortex and kept in 4 °C for 15 min. It was mixed by vortex again. In addition, it was centrifuged (3000 g for 10 min) and collected the supernatant. This supernatant has only simple phenolics other than tannins. The phenolic content of the supernatant was measured as mentioned above. Next, the total tannin was obtained by differences of two above amount 14, 15. Minimal Inhibitory Concentration: Minimal inhibitory concentration of plant extracts on some bacteria was determined. These bacteria were Salmonella typhi, Proteus mirabilis and Klebsiella pneumoniae. In addition, bacteria carry out tubes, separately. Then, 0.5 ml broth dilution and 0.5 ml bacteria solution (concentration of bacteria is half-Mc-Farland) added to tubes. In addition, 0.5 ml of plant extracts with 10 mg/ml, 5 mg/ml, 2.5 mg/ml and 0 mg/ml concentration added respectively to the tubes of bacteria. Finally, tubes put in incubator with 37 °C for 18 h 16. Preformulation and Formulation of Effervescent Tablets: Amount of extracts was used in tablets is 440 mg based daily dosages of traditional usages 17. In addition, formulation of tablets was designed by chemometrics method and prepared using wet granulation method. Table 1 shows the effervescent tablet formulations. Some tests of preformulation and after formulation were used for controlling and validation of effervescent tablets 18, 19. For Extract - ingredients compatibility study, ingredients were mixed in the different ratio according to formulation design that mentioned above. These mixtures was granulated with alcohol and kept at one week in 55 ºC. At the interval of this time, the sample was withdrawn and was subjected for evaluation 20. The ideal characteristics of a tablet are compactness, physical stability, rapid production capability, chemical stability and efficacy. Therefore, various methods to measure certain granulation characteristics have been developed to monitor granulation suitability for tableting including granules angle of repose, granule friability, tablet hardness, disintegration times and drug assay. W0: Initial weight, W: Weight after friability testing. Disintegration time was obtained in the room temperature. Accordingly, tablets was put in the glass of water and time of completely disintegrated be noted 23. In addition to, for determination of extract in the tablets total tannin was assayed. In this stage formulations was dissolved in water separately and measured the total tannin content of the solutions as mentioned above 24. RESULTS AND DISCUSSION: Yield of plant extraction calculated 22%, approximately. In addition, total phenols and tannins were obtained 0.9% and 0.1%, respectively. Unlike low amount of these compounds, phenolic components of medlar and oak are potentially effective on biological effects such as astringency and antimicrobial effects. Antimicrobial effects of medlar and oak extract determined using broth dilution test. Table 2 shows minimal inhibitory concentration of medlar and oak extracts on three microbial strains. These effects help to use in microbial infection such as infectious diarrhea. Sampling of extract-ingredients mixtures in within a week was showed these mixtures are approximately stable Table 3 and 4. In this sampling, total phenols were assayed. This reduces the amounts of total phenols will disappeared with adding antioxidant agents such as ascorbic acid because phenolic components of medlar and oak extracts was reduced in the vicinity oxidant compounds. In this study Vitamin C was used as antioxidant 24. 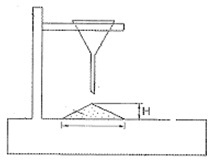 Angle of repose shows flowability of formulation granules. Values for angle of repose ≤ 30° usually indicate a free flowing material and angles ≥ 40° suggest a poorly flowing material, 25 - 30 show excellent flow properties, 31 - 35 show good flow properties, 36 - 40 show fair flow properties and 41 - 45 showing passable flow properties. In this study, angle of reposes was obtained between 22° to 36°. High amounts of lubricants maybe provide angle of repose and flowability of granules and formulation Table 3 and 4 21. In addition, the hardness of tablets was determined 3 to 7 kg / cm2. Table 3 and 4 are show variation of effervescent tablets hardness. Totally, by reducing of lubricant, tablet hardness be increased. So, high amounts of acidifying agent versus an alkalizing agent caused effervescent tablets being harder. Maximum and minimum friability of the formulations were determined 0.26% and 0.10%. The percent of friability was less than 1% in all the formulations ensuring that the tablets were mechanically stable. Disintegration time was found to be 2 to 6 min approximately. High percent of acidifying ingredient makes disintegrated faster. Similarly, lower amounts of lubricant effect this time. Table 3 and 4 are show disintegration times of different proposed formulation of effervescent tablets. Extract of medlar and oak have phenolic components such as tannins. These compounds were determined as active ingredient in extract to amount of this extract is calculated. In this study, after formulation of effervescent tablets, amount of extract was found to efficacy of formulation method and compatibility of extract with ingredients are determined. After the sampling and analyzing of effervescent tablets, it was appeared low reduces of tannins. However, phenolic components of medlar and oak extracts were reduced in the vicinity oxidant compounds. CONCLUSION: The study was undertaken with an aim to formulate medlar and oak extract effervescent tablets. Medlar and oak are potentially effective in infectious and non-infectious diarrhea. In addition, this effect is due to phenol and tannin components. Fifteen formulations were prepared and their hardness, friability, effervescent time and stability of extract during tabletting were evaluated. This oral dosage form is good in special conditions such as children and elderly patient. Between all oak and medlar formulations, F5 is ideal approximately. ACKNOWLEDGEMENT: This study was supported by Mazandaran University of Medical Sciences in Sari, Iran with grant number 91 - 126. We would like to thank laboratory personnel of department of Pharmacognosy and Department of Pharmaceutics in faculty of pharmacy of Mazandaran University of Medical Sciences. We also thank Prof. Mohammad Azadbakht, Department of Pharmacognosy, Faculty of Pharmacy, Mazandaran University of Medical Sciences in Sari, Iran for approving the authenticity of the plant used in the research. Enayatifard R, Mahjoob A, Ebrahimi P and Ebrahimnejad P: Evaluation of the effect of physical variables on in vitro release of diclofenac pellets using Box-Behnken design. Iranian journal of basic medical sciences 2015; 18(1): 710-715. Aslani A and Jahangiri H: Formulation, characterization and physicochemical evaluation of ranitidine effervescent tablets. Advance Pharmaceutical Bulletin 2013; 3(1): 315-322. Mohammed KAB, Ibrahim HK and Ghorab MM: Effervescent tablet formulation for enhanced patient compliance and the therapeutic effect of risperidone. Drug delivery 2016; 23(2): 297-306. Tekade BW, Jadhao UT, Thakare VM and Bhortake LR: Formulation and evaluation of diclofenac sodium effervescent tablet. Infrared Spectroscopy 2014; 9(1): 11-19. Mirzaee F, Hosseini A, Jouybari HB, Davoodi A and Azadbakht M: Medicinal, biological and phytochemical properties of Gentiana Journal of Traditional and Complementary Medicine 2017; 7(4): 400-408. Nasiri E, Hosseinimehr SJ, Azadbakht M, Akbari J, Enayati-fard R and Azizi S: The effect of Terminalia chebula extract vs. silver sulfadiazine on burn wounds in rats. Journal of Complementary and Integrative Medicine 2015; 12(1): 127-135. Fakhri M, Davoodi A, Parviz M, Ghadi SZ, Mousavinasab SN, Farhadi R, Azadbakht M and Azadbakht M: characterization and HPLC analysis of manna from some Cotoneaster International Journal of Pharma-ceutical Sciences and Research 2017; 8(12): 5360-5366. Davoodi A, Ebrahimzadeh MA, Fathalinezhad F and Khoshvishkaie E: Antibacterial Activity of Mespilus germanica Leaf Extract. Journal of Mazandaran University of Medical Sciences 2017; 26: 173-178. Shafiee F, Khoshvishkaie E, Davoodi A, Kalantar DA, Jouybari BH and Ataee R: The Determination of Blood Glucose Lowering and Metabolic Effects of Mespilus germanica Hydroacetonic Extract on Streptozocin-Induced Diabetic Balb/c Mice. Medicines 2018; 5: 1-7. Karimi A, Moradi MT, Saeedi M, Asgari S and Rafieian-Kopaei M: Antiviral activity of Quercus persica: high efficacy and low toxicity. Advanced biomedical research 2013; 2: 36-45. Khalili M, Fathi H and Ebrahimzadeh MA: Antioxidant activity of bulbs and aerial parts of Crocus caspius, impact of extraction methods. Pakistan journal of pharmaceutical sciences 2016; 29(3): 773-777. Javanmardi J, Stushnoff C, Locke E and Vivanco J: Antioxidant activity and total phenolic content of Iranian Ocimum accessions. Food chemistry 2003; 83: 547-550. Ghasemi K, Ghasemi Y and Ebrahimzadeh MA: Antioxidant activity, phenol and flavonoid contents of 13 Citrus species peels and tissues. Pakistan journal of pharmaceutical sciences 2009; 22: 277-281. Mousavinejad G, Emam-Djomeh Z, Rezaei K and Khodaparast MHH: Identification and quantification of phenolic compounds and their effects on antioxidant activity in pomegranate juices of eight Iranian cultivars. Food Chemistry 2009; 115: 1274-1278. Fathi H, Rostamnezhad M, Ebrahimzadeh MA, Charati YJ and Ebrahimi M: A survey of students' level of knowledge and performance regarding the use of foodstuffs and herbs recommended by Quran at Mazandaran University of medical sciences. Journal of Religion and Health 2015; 3: 90-96. Al-Mariri A and Safi M: In-vitro antibacterial activity of several plants extracts and oils against some gram-negative bacteria. Iranian journal of medical sciences 2014; 39: 36-46. Gruenwald J, Brendler T and Jaenicke C: PDR for herbal medicines. 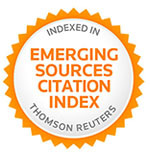 Thomson Reuters, Last Edition 2007. Rotthäuser B, Kraus G and Schmidt PC: Optimization of an effervescent tablet formulation using a central composite design optimization of an effervescent tablet formulation containing spray dried L-leucine and polyethylene glycol 6000 as lubricants using a central composite design. European Journal of Pharmaceutics and Biopharmaceutics 1998; 46: 85-94. Wabaidur SM, Alothman ZA and Khan MR: A rapid method for the simultaneous determination of l-ascorbic acid and acetylsalicylic acid in aspirin C effervescent tablet by ultra performance liquid chromatography - tandem mass spectrometry. Spectrochimica Acta Part A: Molecular and Biomolecular Spectroscopy 2013; 108: 20-25. Srinath K, Chowdary CP, Palanisamy P, Krishna A and Aparna S: Formulation and evaluation of effervescent tablets of paracetamol. 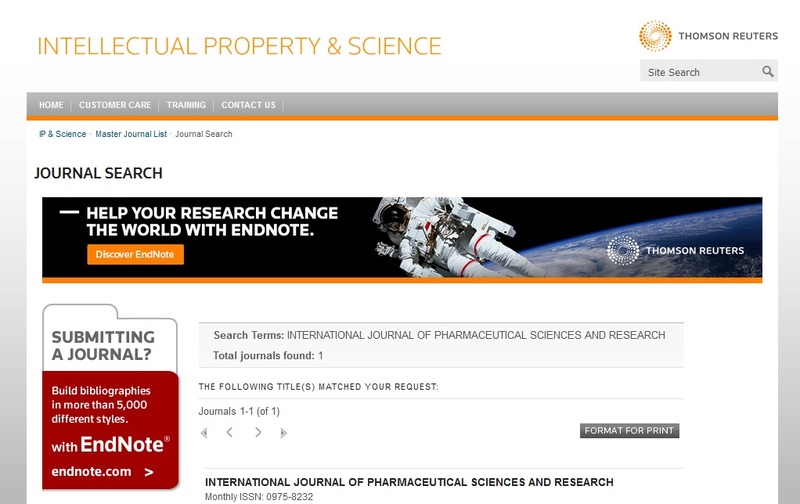 International Journal of Pharmaceutical Research Development 2011; 3(1): 76-104. Joshi Y, Bisht P, Bhatt A, Juyal D and Sade S: Utilization of Lawsonia inermis Mucilage as a Novel Binder in Conventional Tablet Dosage Form. Current Research in Pharmaceutical Sciences 2015; 5(1): 17-23. Osei-Yeboah F and Sun CC: Validation and applications of an expedited tablet friability method. International journal of pharmaceutics 2015; 484(5): 146-155. Nagashima AI, Pansiera PE, Baracat MM and Gómez RJHC: Development of effervescent products, in powder and tablet form, supplemented with probiotics Lactobacillus acidophilus and Saccharomyces boulardii. Food Science and Technology (Campinas) 2013; 33(2): 605-611. Makkar HP, Blümmel M, Borowy NK and Becker K: Gravimetric determination of tannins and their correlations with chemical and protein precipitation methods. Journal of the Science of Food and Agriculture 1993; 61: 161-165. Zarban A, Toroghi MM, Asli M, Jafari M, Vejdan M and Sharifzadeh G: Effect of Vitamin C and E supplementation on total antioxidant content of human breast milk and infant urine. Breastfeeding Medicine 2015; 10(1): 214-217. Davoodi A, Jouybari HB, Fathi H and Ebrahimnejad P: Formulation and physicochemical evaluation of medlar (Mespilus germanica l.) and oak (Quercus castaneifolia C. A. Mey.) effervescent tablets. Int J Pharm Sci & Res 2018; 9(9): 3870-75. doi: 10.13040/IJPSR.0975-8232. 9(9).3870-75.